BARA: Mohibullah, who lives in Bara tehsil of Khyber tribal district, besides doing his job is also entrusted with the responsibility of fulfilling the water needs of his family with the help of women and children. Mohibullah has a medicines shop and the additional duty of bringing water has been entrusted to him after the well of this house went dry. “Ten years ago, our well was enough to fulfil water needs of our family and we also provided water to cattle and garden near our house, but now we travel two kilometres on foot to bring water from another well,” Mohibullah said while talking to TNN. Mohibullah belongs to Qambarkhel tribe of Khyber tribal district where the wells and tube wells of dozens of people have dried during the last few years. The people of the areas travel to another village to fetch water on their heads and with the help of donkeys and handcarts. Mohibullah told TNN that he has sold his cattle and the garden outside the house has also been dried. Bara, the largest sub-division of Khyber tribal district, was affected the most from militancy and military operations. Seven military operations have been carried out in Bara after 2008 which damaged people’s houses, affected businesses and also damaged water supply schemes. According to a report of Muslim Aid, a non-governmental organization (NGO), 78 percent people of Bara depend on wells and tube wells for water, while 22 percent depend on natural streams and canal water. The report said 46 percent people of Bara had access to clean drinking water before the military operations and after the operation now after returning from life of displacement only 30 percent people have access to water. 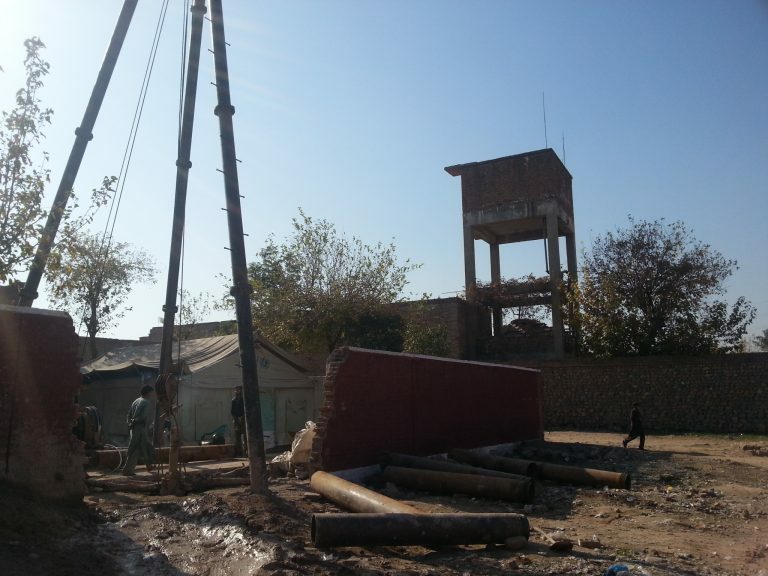 A report of the Public Health Department says there are about 10,000 tube wells and dug wells in Khyber district, most of which were built by the government, while the rest were built by NGOs and local people. Public Health Department’s engineer Abdul Salam told TNN that most of water supply schemes were damaged during military operations. He admitted that his department has not conducted any survey to assess the number of the remaining water schemes which are still functional. He said the water level is going down regularly in Khyber district. 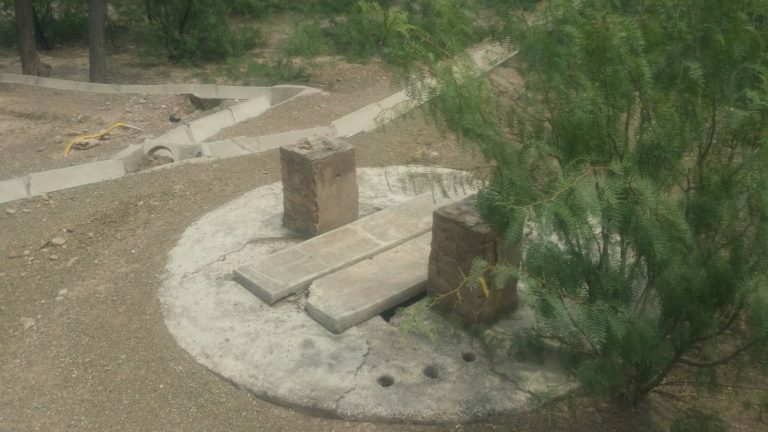 “Few years ago, water was available at 80 to 100 yards below the ground level, but now water is gone down to at least 120 feet down and even more,” he said. Experts believe that besides military operations, the water level in Khyber district has gone down because of climate change. Dr Muhammad Jamal, a professor at the University of Agriculture Peshawar, who is also keeps eye on climate change patterns, told TNN that Khyber tribal district is also facing reduction in rains and snowfall and change in their previous timings. “Previously, the plain areas used to receive rains and mountainous areas received snowfall from October to January, but now the snowfall season begins in February and continues till April. Summer season starts after that immediately due to which snow melts quickly and did not stay on the mountainous areas for longer period as was the case earlier. Dr Muhammad Jamal said water level has also gone down in Khyber district due to increase in population. He said the villages which earlier had one tube well had several tube wells now to cater to increased demand due to enormous increase in population. On the other hand, Abdul Salam said many government and private water schemes have also failed in Bara due to low water level. He said some NGOs and private parties have built tube wells in Khyber district without any planning where water is being wasted without any reasons. He said the government should immediately ban private tube wells and dug wells and introduce a proper policy for saving underground water in Khyber district. Professor Jamal supported the viewpoint of Abdul Salam, arguing that the installation of solar tube wells during the last few years has aggravated the situation. The local people said other sources of fresh water, like streams and canals have also dried or have less water as compared to past. Abdul Salam, who also lives in Bara, said a canal was built on Spera Dam which used to fulfil the irrigation needs of Malikdinkhel and Sepah tribes, but now water quantity in that canal has reduced to a great extent and it is providing water to a few villages only. He said Tirah Maidan has also been affected badly due to the impact of climate change. He said the mountains of Tirah used to receive five feet snow in winters, but now the mountains hardly receive one foot snowfall. The Metrological Department Peshawar Director Mushtaq Ali Shah said while talking to TNN that the long spells of winter rains are no longer witnessed. He said irregular rains also cause floods. He said the soil doesn’t absorb water in case of heavy rains and water ends up in sea. That is why, he said, the underground water level is going down. Women in Bara are particularly facing more difficulties due to shortage of water. Paror Bibi, and elderly woman, told TNN that women find it very difficult to fetch water from far off areas in their burqas and they also fear falling from mountains due to difficult routes. Ruqia Bibi, another woman, said the women and children face many difficulties in bringing water in the event of some function at home. The people of Bara believe that the government can resolve the problem if it is serious in this regard. 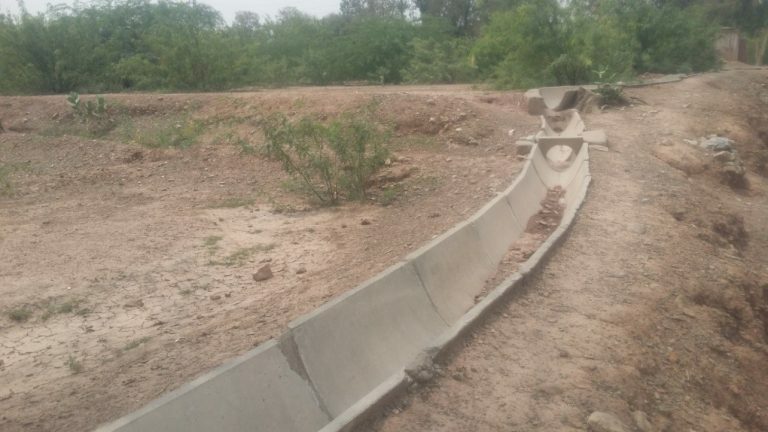 Hakeem Khan, a local elder, said he has sent an application to the governor to provide a canal from Tangi river to Bar Qambarkhel to resolve water shortage issue in the area, but no response has been received. Hakeem Khan said people have returned after establishment of peace, but this time they may migrate from the area due to unavailability of water.